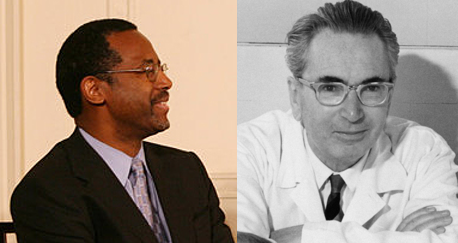 While researching my newsletter, I came across a 1999 PBS interview with Dr. Ben Carson, renowned pediatric neurosurgeon. Many of you know his story: young black boy raised by a single mom who wanted her boys to escape from poverty. She required he and his brother to read 2 books weekly from the library, and write book reports. His love for learning inspired, he fought other challenges to eventually become the man of distinction he is today. Carson’s mom also would not stand for her boys to play the victim. If they were in trouble and used someone else as an excuse, she would ask, “Do you have a brain?” If they answered yes, then it really didn’t matter what others did. She made her boys understand personal responsibility. When it comes to something like racism, for instance, my mother used to always say, “If you walk into an auditorium full of racist, bigoted people,” she said, “you don’t have a problem. They have a problem. Because when you walk in, they are going to cringe and wonder if you’re going to sit next to them, whereas you can go sit anywhere you want. So let them wory about it if they want to. You don’t ahve to do that.” And, you know, that’s the whole concept in terms of the victim’s mentality. You either accept it and become a victim, or you deny it and become a victor. You have a choice between being a victim and a victor. When somebody provokes you, or you discover your plans are failing, in that moment between the stimulus and your response, choose how you will respond. Choose to be a victor and find a way to win. Conversation with Dr. Ben Carson (1999) by David Gergen at PBS. ← The Three Stooges Communicate!